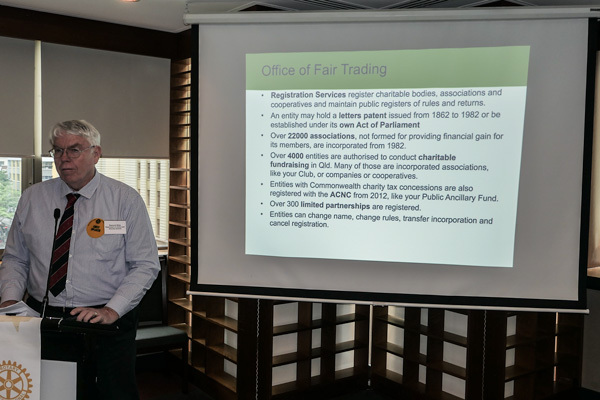 We were treated to a very interesting and comprehensive coverage of the history, relevant legislation and current status of cooperatives in Queensland by Raymond White at our meeting on 24 February. 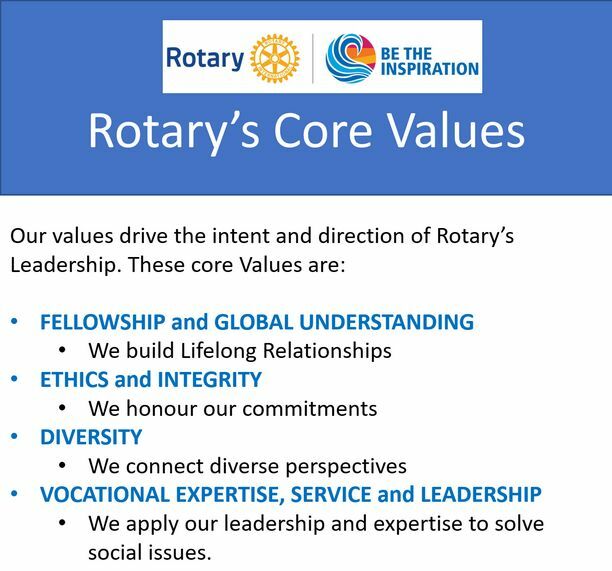 Ray is a Principal Business Services Officer in the Office of Fair Trading and the information he provided is particularly pertinent to the cooperative housing project which our member, Phil Little, would like our club and the Rotary District to help bring to fruition. There were 31 members and guests at the meeting on 11 March where U.Q. Professor Bernie Degnan both enlightened and entertained us on aspects of the Great Barrier Reef and especially on the major threat posed by Crown of Thorns Starfish. Among the many guests we were especially pleased to welcome David Slater, President of the Rotary Club of Mid-City, and Heather Lennie from the Rotary Club of Scarborough in Canada. It was also great to have Katrina Roetteler and Matt Christopher returning as regular guests, and we hope soon to be members. Matt contributed “spots” at both the February and March meetings and has obviously put considerable time and thought into Dan Adler’s evolving Rotaryship project. Katrina Roetteler and husband Michael were very hard working contributors, along with six Club members, to a pretty hot, tough morning at DIK on 9 March. The International Women’s Day Breakfast, organized by Daniel Vankov, had 67 attending and was a great success, both as a social event and as a fundraiser. Daniel reported a profit which will cover the sponsorship for our two RYLA candidates. Unfortunately I had left it too late to arrange a Club effort for “Clean up Australia Day” but will ask our President Elect, Michael Stephens, to put this early on the agenda for 2019-20. I will also ask our Board to consider a donation to this cause. With the addition of Denise Schellbach we now have a team of five going to Taiwan to help celebrate our Sister Club, Taipei Tatung’s 35th anniversary. They have a very interesting program for us, a history of great hospitality, and there is still time to sign up. 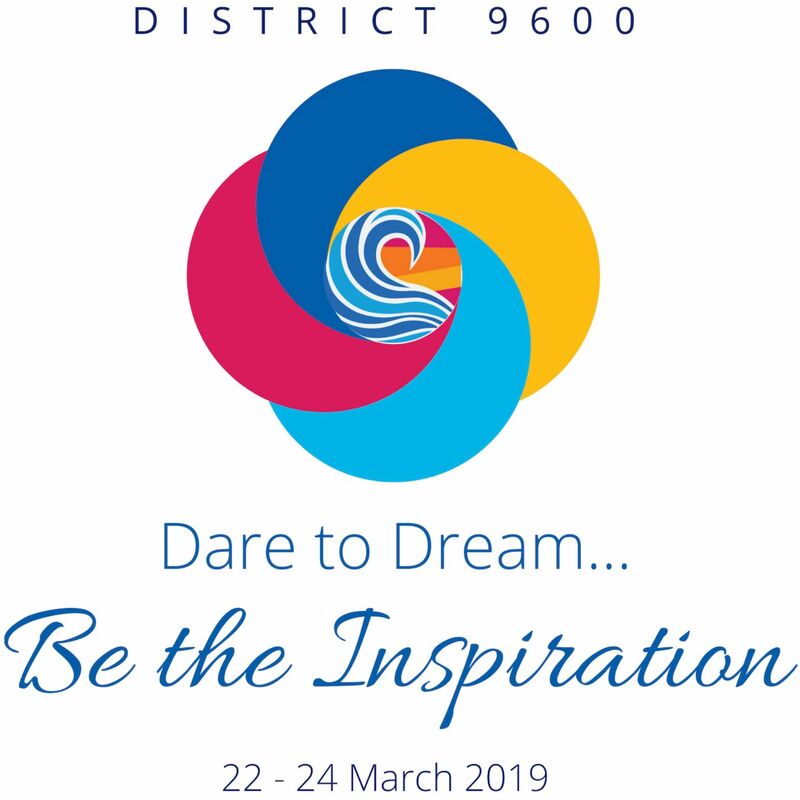 There are about 250 attending next weekend’s District Conference and still time to register for all or part of it. The only cost is if you wish to take advantage of the catering and functions. The Club will reimburse $100 of this cost to encourage maximum attendance so please join us if you can. It is sad to report that Dr, Max Brändle OAM, a much loved member of the club for around 23 years, died on 28 February. Max was a linguist, Director of the “Institute of Modern Languages”, and maintained his Swiss accented perfect English despite his many years in Australia. Please save the dates for both the BBQ and the presentation by UQ Prof Alex Haslam on “Groups for Health” at a dinner on Wednesday 15 May, at the United Service Club. 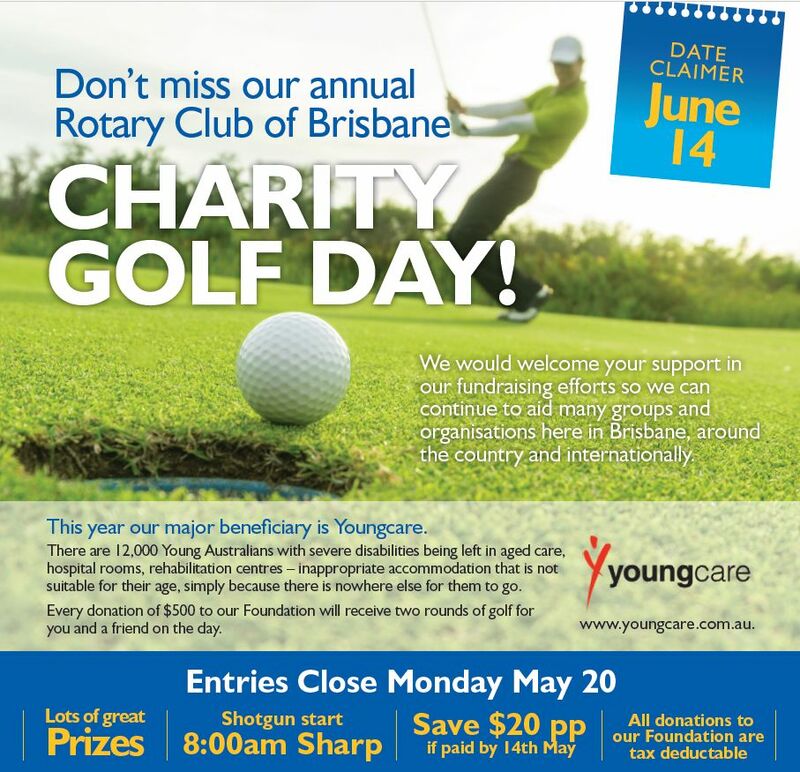 The Rotary Club of Brisbane's 2019 Charity Golf Day will be held on Friday June 14 at the Virginia Golf Club. Get your bookings in early with Graeme Whitmore or Michael Stephens or click on the image above. Rotary Peace Fellows from the XVI and XVII cohorts held their "meet and greet" at the home of Sec. Mark Williams on 4th March. "Our" Peace Fellows, Morgan Marks (Cohort XVI) and Peter Lindsay (Cohort XVII) are in the middle of the back row. Chair for the day was Dymphna Muir who opened the meeting with toasts and grace before inviting President Chris Muir to address the meeting. The content of Chris's address can be found in the President's Message section above. Chris welcomed guests, including Katrina Roettler who has been to several of our meetings by now, Raymond White our Guest speaker, Manager of the MacArthur Centre which has helped us in the past with fundraising activities, Colleen Middlemass and Matthew Christopher, guest of Pres. Nominee Dan Adler. Denise Schellbach thanked all the Rotarians who had helped her with running Eddie's Van through January until the 3rd of February. PP Keith Watts asked all members to do their best to attend the district conference on 22-24 March, noting that the club will reimburse members up to $100 for their cost of attendance. He also reported that the membership application from Mark Scanlan had been approved by the board and that it would be circulated to members shortly. Pres. Nominee Dan Adler reported that he had spoken to DGE Darryl Iseppi about the Rotaryship scheme (we also had discussions with DG Wendy Protheroe late last year). Meeting Guest Matt Christopher also spoke generally around the concept of Rotaryship and gave us some valuable insights as an outsider on how we might adapt the legacy of 100 years of Rotary to attract people for the next 100 years. PP Daniel Vankov reported on progress on the Women's Day breakfast, saying that we already had 57 seats out of 80 booked and suggesting that members should register quickly before they miss out. After a short time for fellowship, Chair Dymphna invited guest speaker Raymond White from the Department of Justice to address the club on the topic of cooperatives, which is of special interest to the club because a subcommittee including Rtns Phil Little, Peter Ryan and PP Keith Watts is investigating the establishment of a new-age housing cooperative to provide affordable housing in the Marburg area. Next up was the sergeant's session where Sgt Pilko was in fine and expensive form. James Delahunty had the raffle ticket drawn from the bowl, but it did him no good. President Chris closed the meeting with the singing of the national anthem. Chair for the day was Pres. Elect Michael Stephens who opened the meeting with a toast to Rotary International and an exhortation for victory by the Qld Reds before inviting Pres. Chris Muir to the podium for the President's message. Pres. Chris welcomed Guest speaker Prof. Bernie Degnan, Soon-to-be members Katrina and Matt Roettler and Matt Christopher, visiting Rotarians Heather Devine and David Slater and Tony Marsland, Michael Duffy, Kerry and Celia Lanza, David Christy, John Cox, Ray Lancashire, Alistair Blanshard, Rob Hodge and Sonya McDonald. Total meeting attendance was 33, which is a high in recent months. The content of Pres. Chris' message is reproduced above. 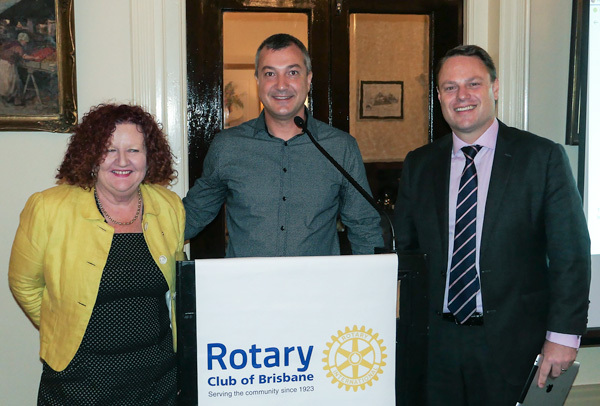 Councillor Adrian Schrinner, Deputy Mayor of Brisbane and Chairman of the Public and Active Transport Committee of Brisbane City Council. Davidson kindly sponsored the event. This year we have faced very tough competition in Brisbane. The UN Women National Committee hosted their breakfast at the same time at the Brisbane Convention & Exhibition Centre. Reportedly they had 1600 attendees. They also approached one of our guest speakers and our sponsor. Both told me that they refused because they have committed to Rotary in the first place. So getting in early paid dividends, especially in the face of that enormous competition. I am not sure how much they charged their guests. However, I have received some critical feedback on the price of our tickets. I do not agree the price was too high. On the 8th of March BHP in partnership with the Queensland Resources Council and Women in Mining and Resources Queensland carried out their breakfast. The price of a ticket was $161.15. My impression from the events I looked at is that neither their format nor their speakers were a match to ours. A total of 65 paying guests attended our breakfast and we raised just enough money to send 2 people to the RYLA camp in May. Overall, I hope that we will continue the upward trend and next year we will have an even more successful event! Thank you for your attention!" PP Graeme Whitmore kicked off our annual golf day and announced that the date and time is Friday 14th June with an 8AM shotgun start. Look for more publicity on this soon! Graeme also told members that we are lookng to do a DIK pickup soon and that Paul Choy as DIK convener will be coordinating this. 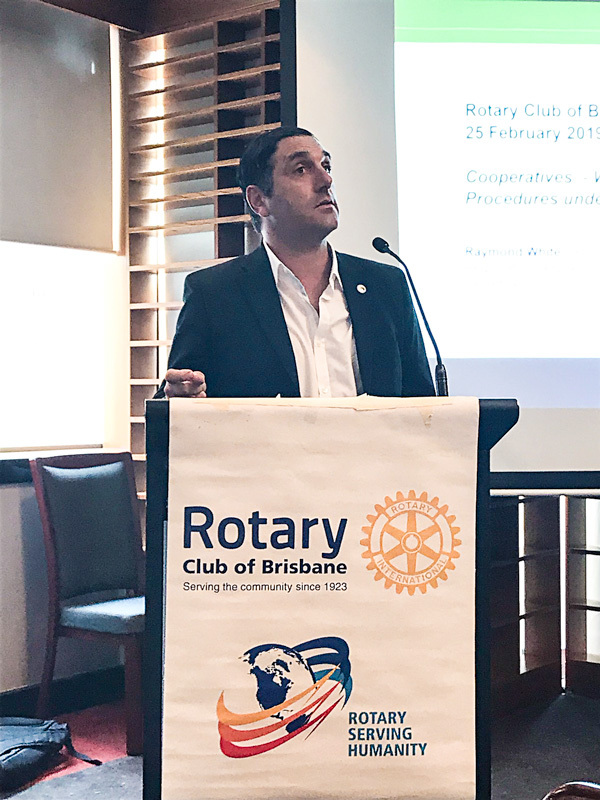 PN Dan Adler and Matt Christopher gave members an update on interactions with DGE Darryl Iseppi and other activities in connection with Rotaryship. PP Keith Watts reminded members that the district conference will be held in less than 2 weeks on the 22,23 and 24 of March at the Hotel Grand Chancellor. The club will reimburse members that attend for up to $100 of their cost of attendance. 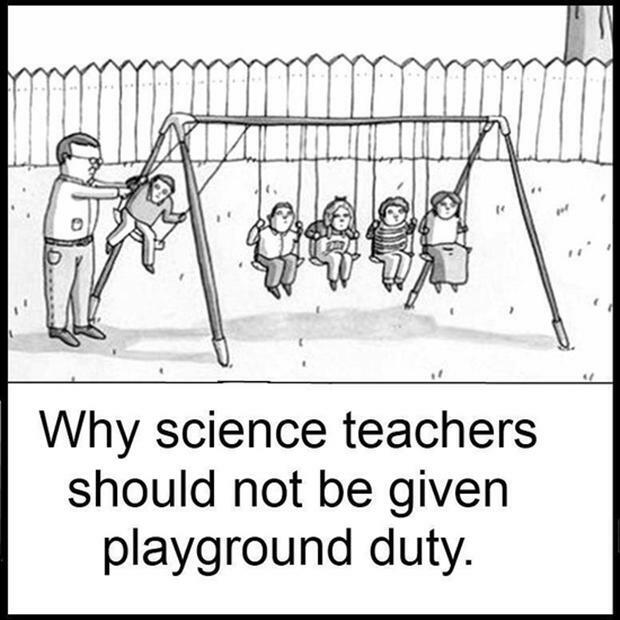 Since the conference is being held in Brisbane this year, there is no excuse for us not to have a good rollup. Click on the date claimer at the to of this newsletter to get to the registration page. 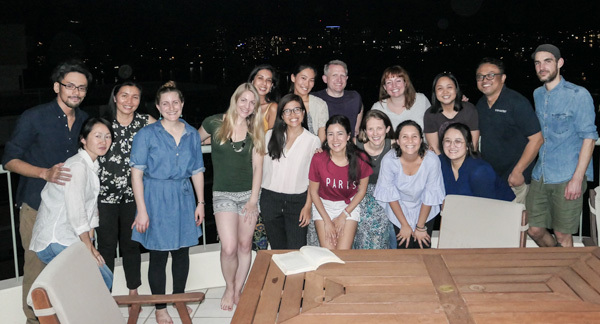 After a short time for fellowship, it was time for our guest speaker, Professor Bernie Degnan who gave us a presentation on the crown of thorns starfish, and what it does to the Great Barrier Reef. It was interesting to hear that the top three threats to the reef in decreasing order of severity are: weather events such as cyclones, the crown of thorns starfish, and coral bleaching. The natural resilience of the reef is such that it can recover from destructive events, but it takes time for coral to recover and at some points the events become too frequent for the reef to recover. Prof. Degnan talked about efforts being undertaken by his and his wife Sandy's research team to discover ways to reduce the severity and frequency of crown of thorns outbreaks. Prof. Bernie Degnan and Pres. Chris bask in the glow of Prof. Degnan's presentation. Afterwards, Sgt at Arms Tony Pilkington extracted a bitter harvest from the members before the drawing of the raffle. The holder of the winning ticket once again failed to draw the joker and the minutes secretary failed to record their name, so they will not go down in history. Such is the tragedy of our existence. At first, Hope was reluctant. She was on the verge of flunking school through poor attendance. 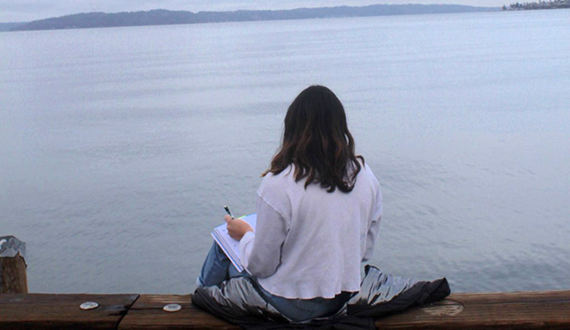 But when Kathleen Figetakis, literacy chair at Tacoma Sunrise Rotary, Washington, USA, asked the Tacoma senior for one little favor – to put up posters in her school for the Tacoma Ocean Fest Youth Story Contest – Hope agreed. Six months later, she had not only won second prize in the contest, but she also graduated from high school – and helped the inaugural contest to be a wave of success.